Sport is our passion. 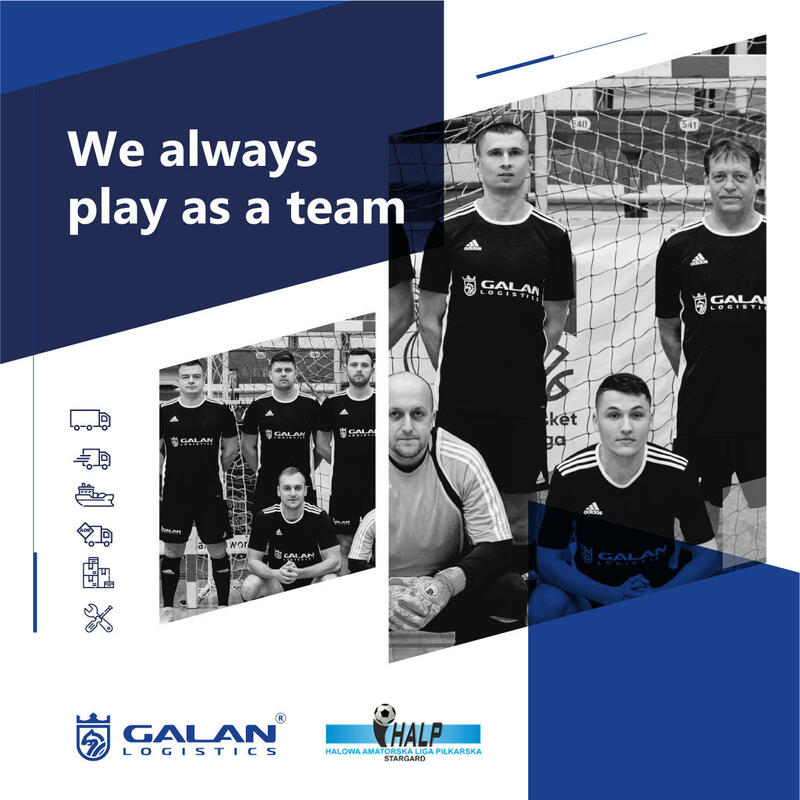 We have created a strong team Galan Logistics Team, which includes: Bartosz Bąk, Radosław Łazuka, Przemysław Gałan, Konrad Gałan, Karol Kapela, Jakub Koszarek, Konrad Zieliński, Raik Irmer, Adrian Dulęba, Roman Lewandowski, Łukasz Kostyk. Behind us is the Indoor Football Amateur League Tournament (HALP) in Stargard. 5 weeks of sporting struggles, 20 rival teams. Great fun, super integration, healthy competition. The most important thing is team play – says Raik Irmer, Key Account Manager at Galan Logistics.